IHG® Rewards Club - eBook - Baby Boomer Bust? Baby Boomer Bust? examines and analyzes the meltdown of 2008/2009 from economic, political and social perspectives and illuminates how the meltdown has directly impacted Baby Boomers -- once known as the generation of promise, but now the generation of panic. It examines the downturn's impact on Boomers' lifestyles, dreams, aspirations and future plans. 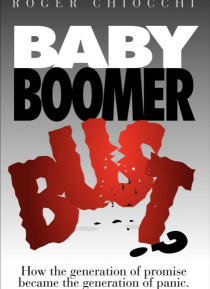 Baby Boomer Bust? raises some provocative qu… estions regarding the generation's ability to survive the worst economic downturn since the Great Depression.